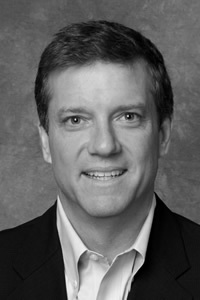 Jonathan is Unilever’s Vice President of Sustainable Living and Corporate Communications, North America. He joined the company in May 2012 and is responsible for Communications, Unilever Brand, and the shape and implementation of the Unilever Sustainable Living Plan in North America. In 2007, Jonathan founded Common Way Communications, a public affairs and ommunications consultancy based in Vermont. There he worked as a consultant to the Global Issues Group, a coalition of global chocolate and cocoa processing companies and trade associations working on responsible labor practices in the cocoa sectors of West Africa. Prior to forming his consulting business, Jonathan was the Senior Director of Global Issues Management for Kraft Foods based in Illinois. He joined Kraft in 2002 and served as the Director of Corporate and Government Affairs for Kraft Foods Asia Pacific based in Australia and Singapore. Before taking on the global issues management assignment, he was the Senior Director of Commodity Sustainability programs for Kraft and was responsible for the strategic design and implementation of programs to promote the long-term sustainability of Kraft's sources of key commodities. Jonathan is a graduate of Bowdoin College. He lives with his wife and son in Connecticut.